The Potton Town Council Newsletter is published quarterly and the Town Council will keep you informed on this page of any latest news between Newsletters. Central Bedfordshire Council Highways has advised that there will be a temporary road closure at Everton Road, Tempsford, Everton Hill, Everton to enable the installation of new signage. The length affected will be the Full Length of Everton Road, Tempsford and the Full Length of Everton Hill, Everton. The closure will take place from Monday 13th May to Friday 17th May 2019, between the hours of 08.00 – 18.00. The diversion route is: Head north-east on Sandy Road towards Warden Hill, Sandy Road turns slightly right and becomes Potton Road, continue onto Everton Road, Continue straight onto Myers Road. Turn right onto King Street/B1040, continue to follow B1040, Turn left onto Sun Street/B1040. Continue to follow B1040, Continue onto Station Road/B1042. Go through 2 roundabouts. At the roundabout, continue straight onto Sandy Road, Continue onto Potton Road/B1042. At the roundabout, take the 1st exit onto Bedford Road/B1042, At the roundabout, take the 3rd exit onto London Road/A1, Continue to follow A1, and vice versa. Please see map for affected route. Central Bedfordshire Council Highways has advised that there will be a temporary road closure at Potton Road, Everton from Green Lane to Everton Road to enable high friction resurfacing. The closure will take place from Tuesday 7th May to 10th May 2019 between the hours of 09:00 – 15:30. The diversion is Potton Road, Sandy Road, Everton Road, Swaden, B1042, Sun Street, King Street, Myers Road, Everton Road and vice versa. Please see Map for affected route and diversions. Central Bedfordshire Council Highways has advised that there will be a temporary road closure at Station Road, Tempsford to enable Tamping through LC to be carried out safely. The restrictions are to be in operation only when the necessary signs are erected on site. Access may be allowed from time to time according to local signing. The closure will be in place from 23:00 hours on Sunday 28th April to 05:30 hours on Monday 29th April 2019. There is no alternative route for this closure. The public version of Potton’s Community Emergency Plan has been updated and is available to view here, or click on Our Council, Policies. Central Bedfordshire Council Highways has given notice of the temporary closure of Footpath No.4 which runs between Biggleswade Road and Sutton Mill Road. The closure is expected to take place from 11th March to 11th September 2019. The alternative route for bridleway users while the closure is in operation will be Potton Bridleway No. 8. Please see map for affected route. 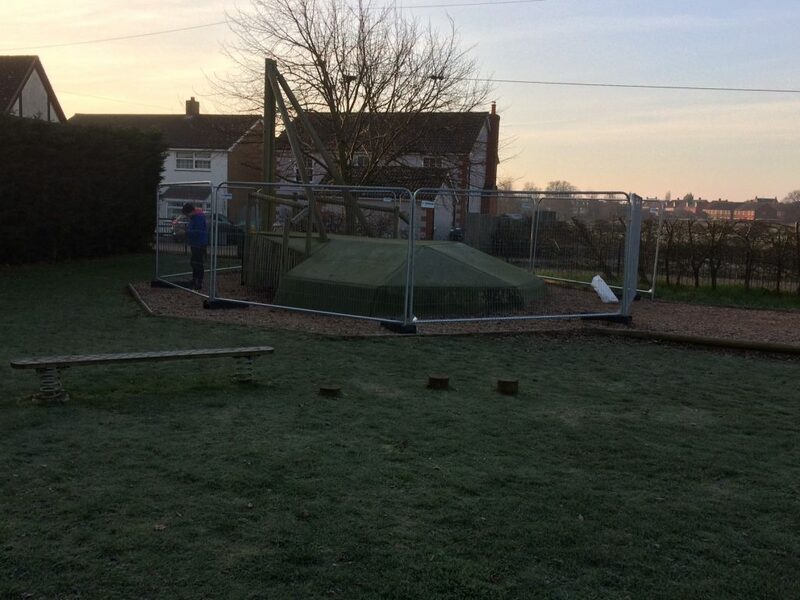 Potton Town Council has taken the aerial runway at Mill Lane Play Area out of action following a safety check carried out yesterday (03/01/2019), which found parts of the runway to be dangerous. 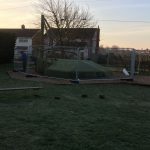 There are temporary fence panels in place to prevent access to the equipment. We are now in the process of deciding if this will be repaired or replaced. More information in due course.